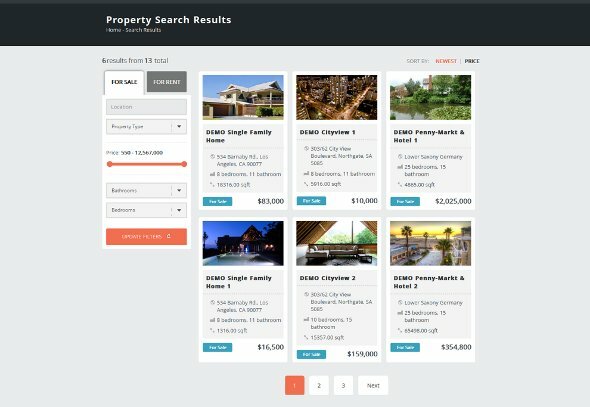 If you want to create a fully functional real estate website, Realty plugin is a great solution for you! It comes will all necessary features in this field. Realty seamlessly integrates with your WordPress website, and no coding required! It is a convenient plugin that adds basic Real Estate functionality. 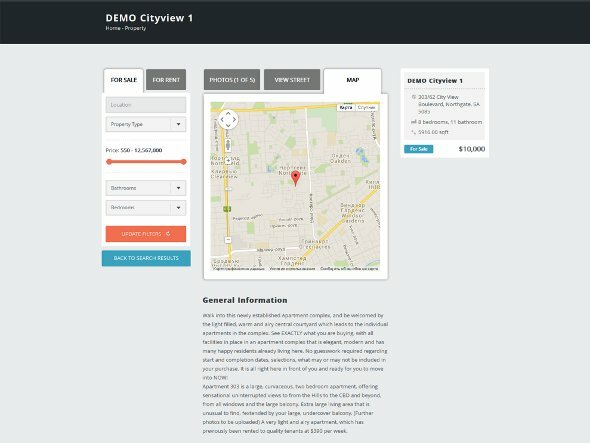 If you need some extra features to cover more specific realty aspects on your website such as an ability to add Features to the Properties you created, or create Agents, the Realty Pro plugin version will come in handy. You won`t have to instal a bunch of other plugins to get all features you need. 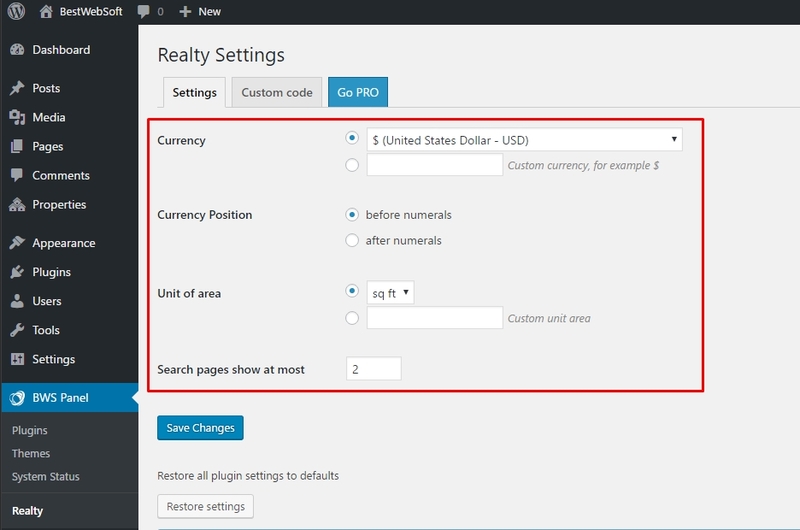 Realty plugin allows you to create your fully functional real estate website using one single plugin. The admin panel functionality is loaded with features and easy to use. Add as many Properties as you need. 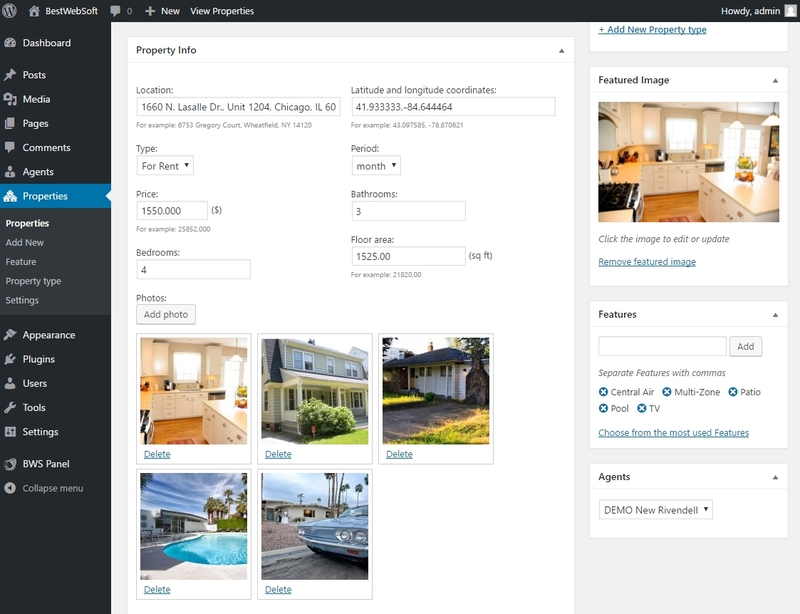 Realty plugin is compatible with Real Estate theme created by BestWebSoft as well as the standard 2015 theme. 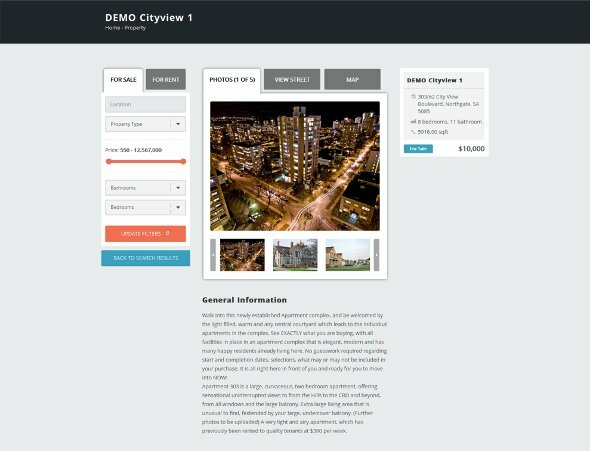 As you can see, even the standard setup provides the ability to create a powerful real estate website. 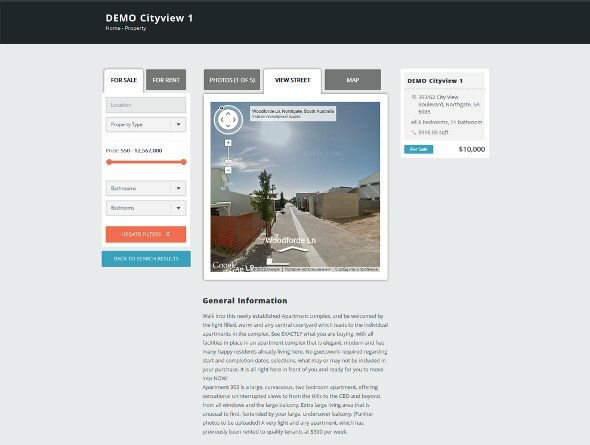 The plugin provides an ability to add a unique image to the Property. Try fully customizable dynamic filtering. As well as to sort Property by various criteria. It can be the price, property type, number of bathrooms or bedrooms. Also, you can add a street view of your house. And mark its location on a map. You can choose from two plugin versions – Realty Free and Realty Pro. The first one comes with all the perfectly balanced basic functionality, and the second one will provide some extra features. We offer you an amazing plugin and timely support! Enjoy!